The Ultimate 80's Host, Dave Ironside and YRP member, Stacey interviewed Richard Drummie from Go West ahead of their upcoming UK tour. The 31 date tour kicks off on the 1st of August and will be performing in Aberdeen in October. Our latest group of trainees from Middlefield have been hard at work in the studio for the last 6 weeks to create a pre-recorded show. Kerry, Leann, Gemma, Michelle and Susan are all Middlefield residents and are looking to present the show regularly after the summer. They'll be blethering about the summer playscheme, some of the services in the area and the Haudagain scheme. 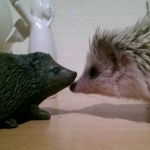 Perfectly coinciding with the start of Hedgehog Awareness Week 2015, shmuFM presenter Max hosted Ed and his two-year-old African Pygmy hedgehog Frankie on this Monday's edition of 'Not the News'. 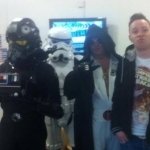 On Saturday the 2nd of May, Star Wars themed Elvis tribute band Darth Elvis & The Imperials appeared on The Sci-Fi Show with Greg Swan. 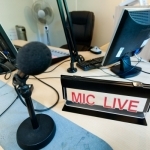 Our Current Affairs Election Special show aired today between 1 and 3pm on shmu 99.8FM. 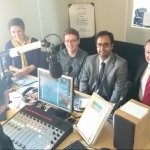 In the first hour we had the candidates from the main parties in Aberdeen North on the show which was chaired by host, Simon. Bobbi then chaired the second hour where candidates from the main parties in Aberdeen South took part in the debate. 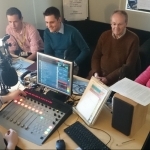 Our Current Affairs team have been very busy today in the shmuFM studio. First up Simon hosted a debate between the main party candidates for the Aberdeen North seat in the 2015 General Election. Each candidate gave a two minute verbal CV then received a light grilling with questions put together by the team which have been inspired by contributions from the public. 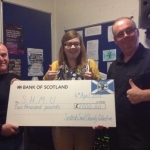 shmuFM would like to say a big thank you to our Whole Lotta Soul presenting team and the Scottish Soul Charity Collective. The team, including our very own Eddie Mcdonald and Acky Buchan, hosted an all day soul event at The Northern Hotel on Saturday the 4th of April. The event (and the raffle) were completely sold out and an amazing £2000 was raised for shmuFM. 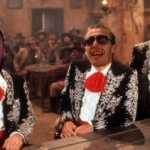 So, the breakfast show has new features and a new starting time of 6am. 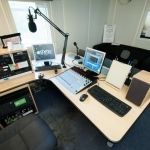 Dave Ironside, who presents the breakfast show on Mondays and Thursdays, hinted at new features of the show, which will be unveiled next week. 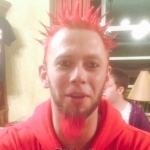 The show will be extended to three hours of non-stop fun every weekday. 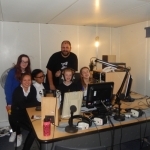 Primary 7s from Seaton Primary School took to the shmuFM airwaves this morning as part of the Seaton Speaks community hour. The group booted our usual hosts Sandy and Andy, out of the hot seat and took over the controls for an hour. We throroughly enjoyed having the group here and they definitely helped to get rid of those Friday morning blues.